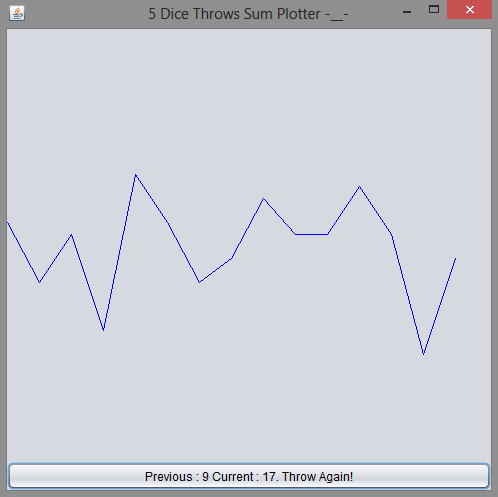 This program throws five dice and the sum of the numbers is plotted. The event of throwing the dice is triggered by a button pressed by the user. // If Nimbus is not available, you can set the GUI to another look and feel.